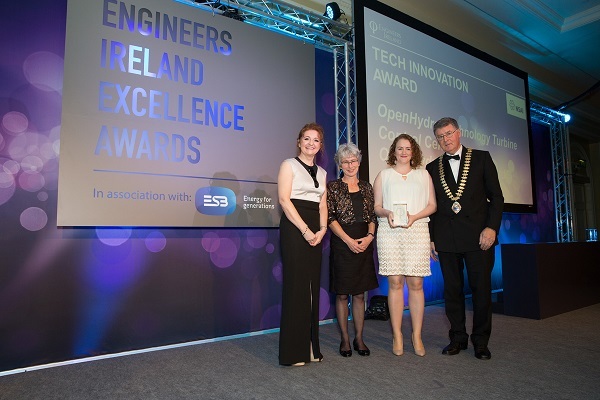 Tidal energy developer OpenHydro, a DCNS company, has secured top honours at this year’s Engineers Ireland Excellence Awards and SEAI Sustainable Energy Awards. 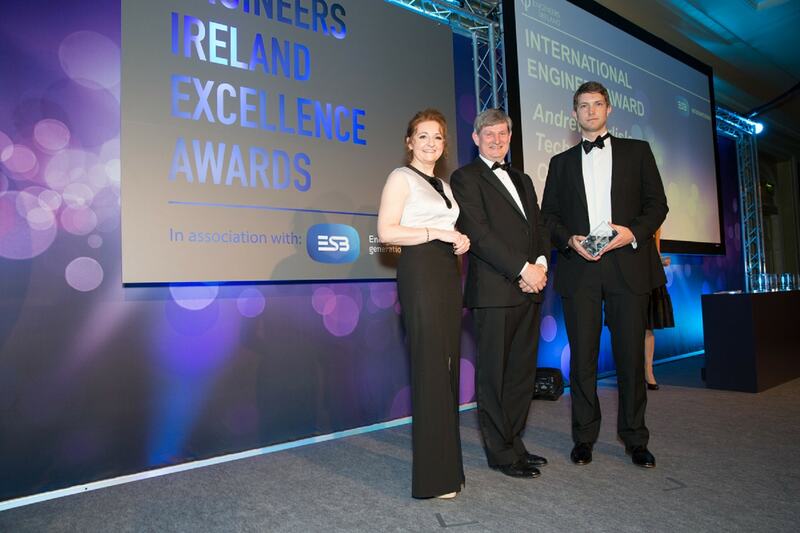 At the Engineers Ireland Excellence Awards, the County Louth based company OpenHydro won the Tech Innovation Award for its Turbine Control Centre, while employee Andrew Carlisle secured the International Engineer of the Year award. 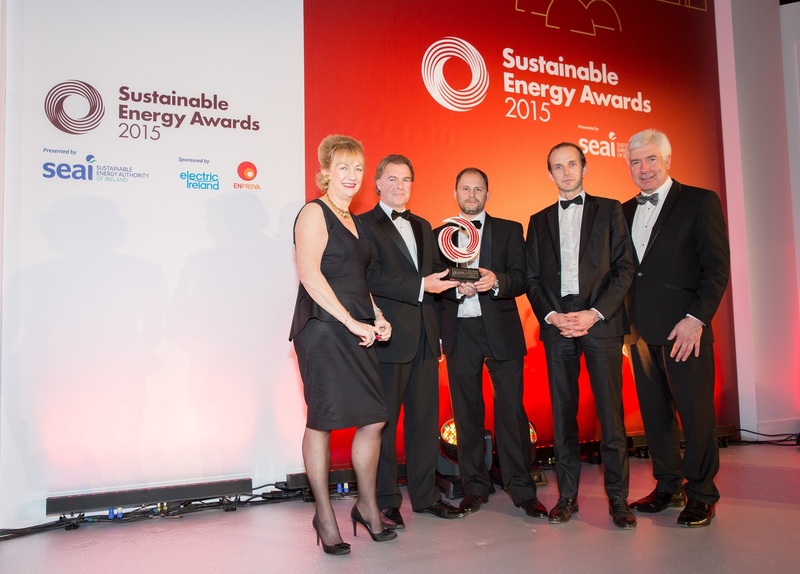 At the SEAI Sustainable Energy Awards, OpenHydro also won the coveted Innovation Award for its tidal turbine technology. OpenHydro achieved these top innovation awards through the development of its unique tidal turbine technology designed at the company’s Research & Development (R&D) Technology Centre based in Carlingford, Co. Louth. James Ives, Chief Executive at OpenHydro, said: “We are delighted to receive these awards which acknowledge how ground-breaking our technology is. We are now, with DCNS’ support, transitioning from research and development, to a company focused on industrial supply to our international projects. Andrew Carlisle, winner of this year’s ‘International Engineer of the Year’ award at the Engineers Ireland Excellence Awards, is based in OpenHydro’s offices in Nova Scotia, Canada, where he works as the technical manager on the Cape Sharp Tidal energy project. Pictured at the Engineers Ireland Excellence Awards are from left: host Niamh Shaw, Pat O’Doherty, Chief Executive of ESB, and Andrew Carlisle of OpenHydro, who won the International Engineer of the Year Award. Andrew is based in OpenHydro’s offices in Nova Scotia, Canada, where he works as the technical manager on the Cape Sharp Tidal energy project.Pictured at the Engineers Ireland Excellence Awards are from left: host Niamh Shaw, Pat O’Doherty, Chief Executive of ESB, and Andrew Carlisle of OpenHydro, who won the International Engineer of the Year Award. Andrew is based in OpenHydro’s offices in Nova Scotia, Canada, where he works as the technical manager on the Cape Sharp Tidal energy project. Originally from Belfast, Andrew’s role as technical authority on the project sees him leading a team of engineers, with responsibility for ensuring the technical performance of all aspects of the project. The Engineers Ireland Excellence Awards, now in its sixth year, recognises the high quality work of Irish engineers and engineering projects both in Ireland and abroad. The SEAI Sustainable Energy Awards recognise excellence in energy in businesses, communities and public sector organisations, with innovation at the heart of the competition.